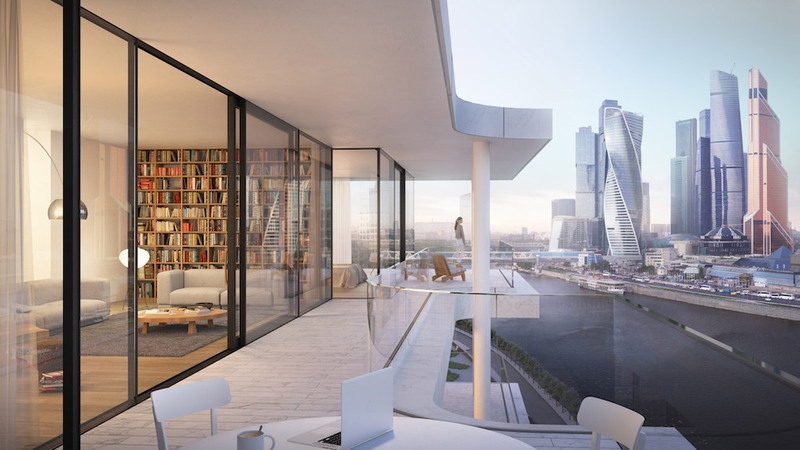 Swiss architecture firm Herzog & de Meuron has unveiled plans to build two “horizontal skyscrapers” suspended on stilts 35 metres above the banks of the Moskva river. Described as “a piece of city lifted up in the air,” the luxury apartment blocks will look out over Moskva City, Kutuzovsky Prospekt and greater Moscow. 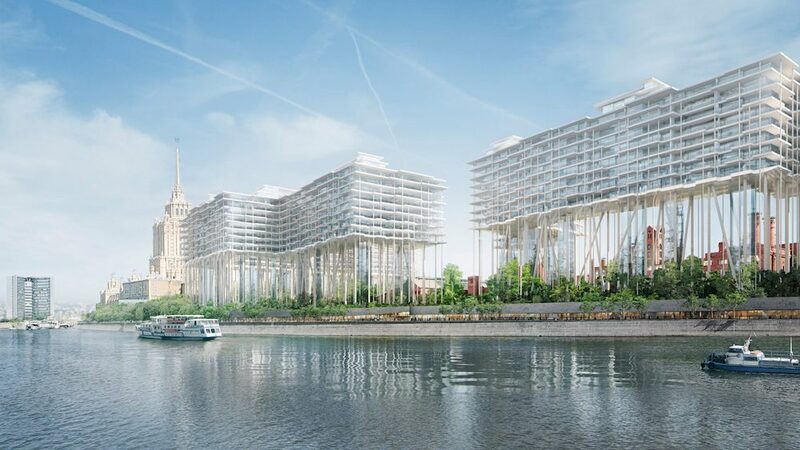 Eight “sky villas” on the building’s top levels will have access to their own rooftop gardens, while a public park nestled underneath the raised apartment blocks will connect the area to the waterfront. 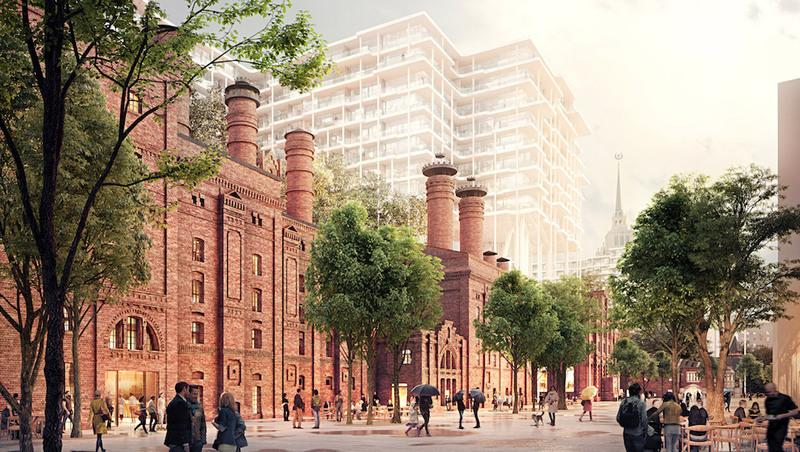 The development will take place on the the six-hectare site of the 19th-century Badaevsky brewery, which closed operations on the site in the 2000s. 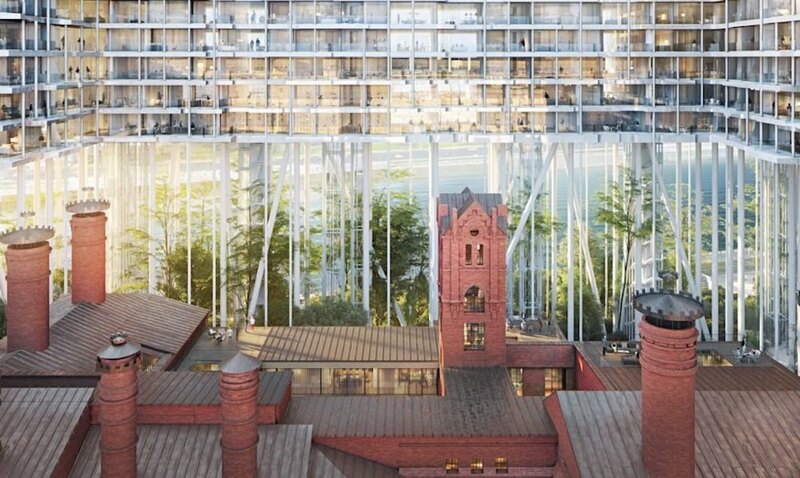 Two of the traditional brick factory buildings will be renovated as part of the plans, while a third will be rebuilt from scratch using the factory’s original documents and designs. As well as hosting the prerequisite gym, supermarket and office space, the buildings will also include a small microbrewery, in a small nod to the area’s industrial past. “We found it extraordinary and especially appealing to use the opportunity to push such a radically different urbanistic approach in a city which has traditionally preferred tabula rasa concepts,” the company said.